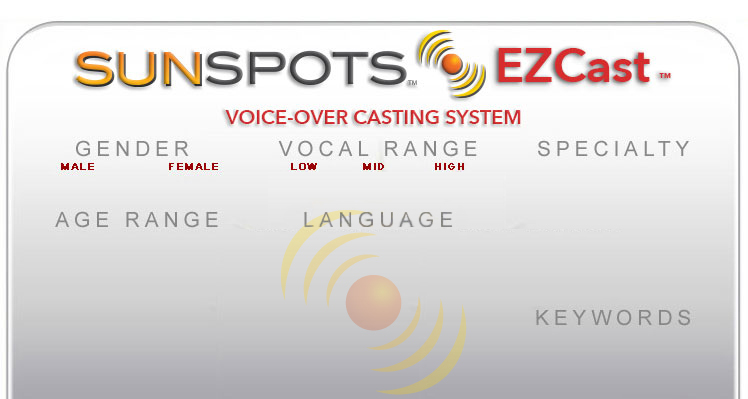 Find your voice talent here with EZcast™. Voice Talent & Voice Actors on the web. Only working pros. Only the best from SunSpots. Please NOTE: Click RESET FIELDS with each new voice talent search.